Karaite scholar; lived at Constantinople in the second half of the sixteenth century. He was ayounger contemporary of Judah Poki, on whose "Sha'ar Yehudah" he wrote a eulogy. 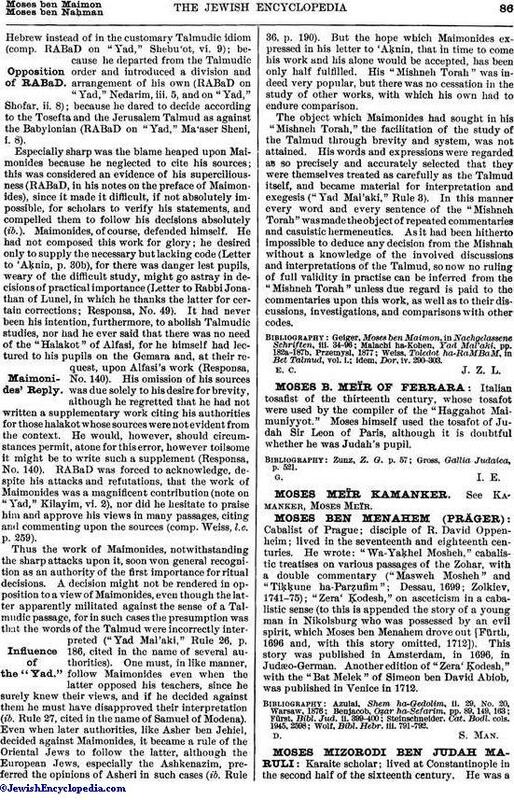 Moses was a prolific writer; but, with the exception of a fragment from his commentary on the Pentateuch entitled "Yemin Mosheh," which is still extant in manuscript (St. Petersburg, Firkovich collection, No. 98), none of his works has survived. 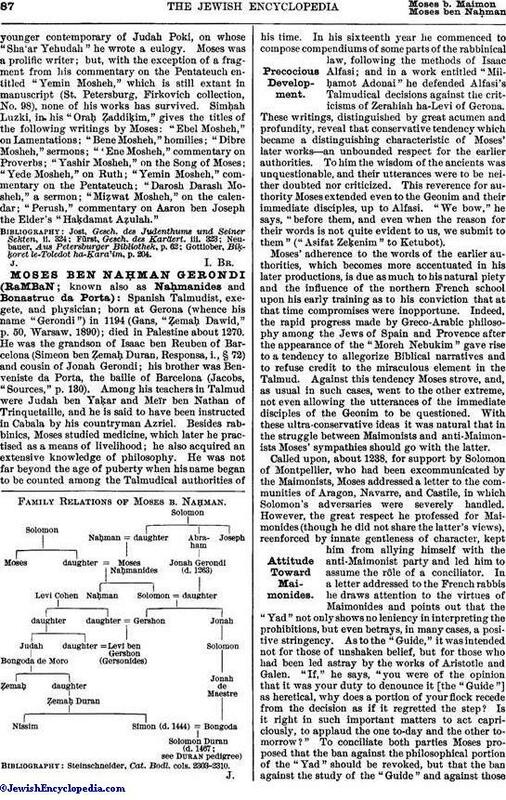 Simḥah Luzki, in his "Oraḥ Ẓaddiḳim," gives the titles of the following writings by Moses: "Ebel Mosheh," on Lamentations; "Bene Mosheh," homilies; "Dibre Mosheh," sermons; "'Ene Mosheh," commentary on Proverbs; "Yashir Mosheh," on the Song of Moses; "Yede Mosheh," on Ruth; "Yemin Mosheh," commentary on the Pentateuch; "Darosh Darash Mosheh," a sermon; "Miẓwat Mosheh," on the calendar; "Perush," commentary on Aaron ben Joseph the Elder's "Haḳdamat Aẓulah." Gottlober, Biḳḳoret le-Toledot ha-Ḳara'im, p. 204.